Operation Spring was an offensive operation conducted by II Canadian Corps during the Normandy campaign. The plan was intended to create pressure on the German forces operating on the British and Canadian front simultaneously to American offensive operations in their sector known as Operation Cobra, an attempt to break out from the Normandy lodgement. 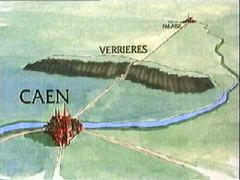 Specifically, Operation Spring was intended to capture Verrières Ridge and the towns on the south slope of the ridge. However, strong German defenses on the ridge, as well as strict adherence to a defensive doctrine of counterattacks, stalled the offensive on the first day, inflicting heavy casualties on the attacking forces, while preventing a breakout in the Anglo-Canadian sector. 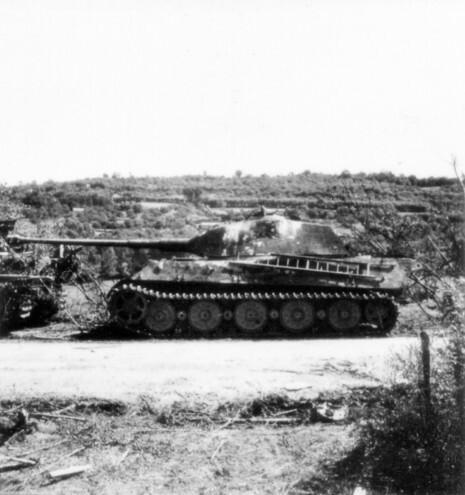 The Canadian objective was the high ground on either side of the Caen-Falaise road along the crossroads west of Cramesnil, securing villages on and behind Verrières Ridge and Tilly-la-Campagne beyond Bourguebus. Tilly-la-Campagne 1.5 k east of Verrières village, to be taken. 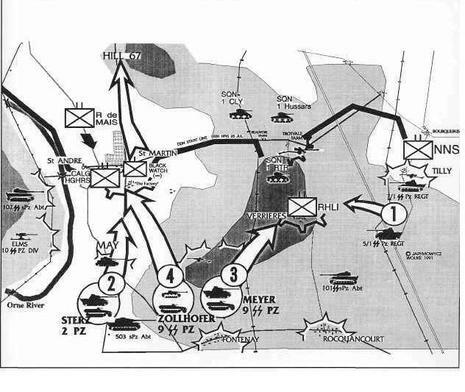 Once secured 7th Armoured, Guards Armoured, and 3rd Canadian Infantry Division were to leapfrog towards Falaise if possible.